Throughout 05.13. – 05.21.2015, the situation has somewhat improved in Luhansk region, due to the efforts of local (regional) authorities to tighten the entry and exit control in the ATO zone. At the same time, we are observing increased terrorist activity by the “LNR” [Luhansk People’s Republic] in the Ukraine-controlled part of the region (evidently, those are the terrorists’ attempts to “get revenge” on the Luhansk region governor for the measures he is taking). 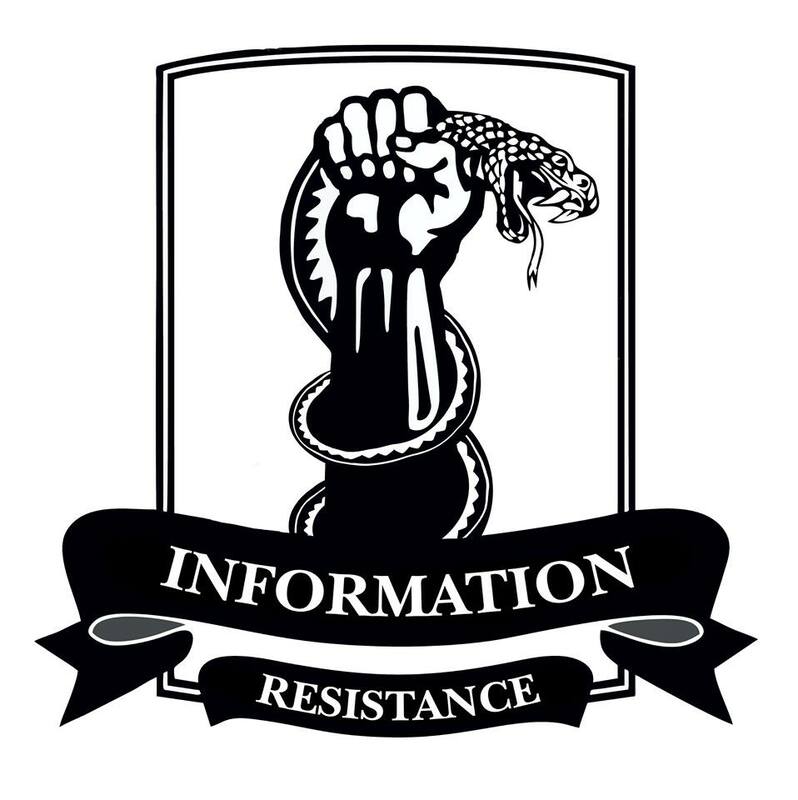 Overall, the situation in both Luhansk and Donetsk regions is steadily tense, with a high risk level of terrorist acts and sabotage, both by pro-Russian agents and sabotage and reconnaissance groups of Russian-terrorist forces infiltrating rear regions. The threat level in both regions remains maximum – 10 points [see scale on infographic below]. The situation in Odesa region is steadily tense (8 points). Actions classified as terrorist acts and sabotage (bombing of a railway bridge and the detonation of explosives in a utility well) took place on May 13 and 14; an unauthorized rally of pro-Russian activists was held on May 17. This points to further attempts by anti-Ukrainian forces to destabilize the situation in Odesa, after unsuccessful attempts to stage large-scale provocations during the May holidays. The situation did not benefit from the “second conference” of the “People’s Council of Bessarabia,” a fake separatist structure, which presented a “law bill” concerning the “national and cultural autonomy of the Bessarabian region.” This event, held at an unidentified location, was widely advertised by the Russian and anti-Ukrainian media. The activity of anti-Ukrainian forces in Kharkiv region has somewhat increased. An important destabilization factor is the trial of Hennadiy Kernes [Mayor of Kharkiv]. The mayor himself and his close circle can see that the situation in the region tends to normalize, through the efforts of the regional-level authorities, law enforcement, the SSU [Security Service of Ukraine], and community organizing – whereas the trouble with justice remains a rather pressing issue for Kernes himself. Because of this, Kernes and his circle try to stay ahead by attempting to destabilize the situation. The rally in support of Kernes was prohibited, but the incident during the court hearing in Poltava, which was clearly provoked, showed that Hennadiy Kernes is capable of tactical command over some resources. This means that staged provocations can become Kernes’ tool, allowing him to keep the Kharkiv residents in the emotionally charged state that he requires. 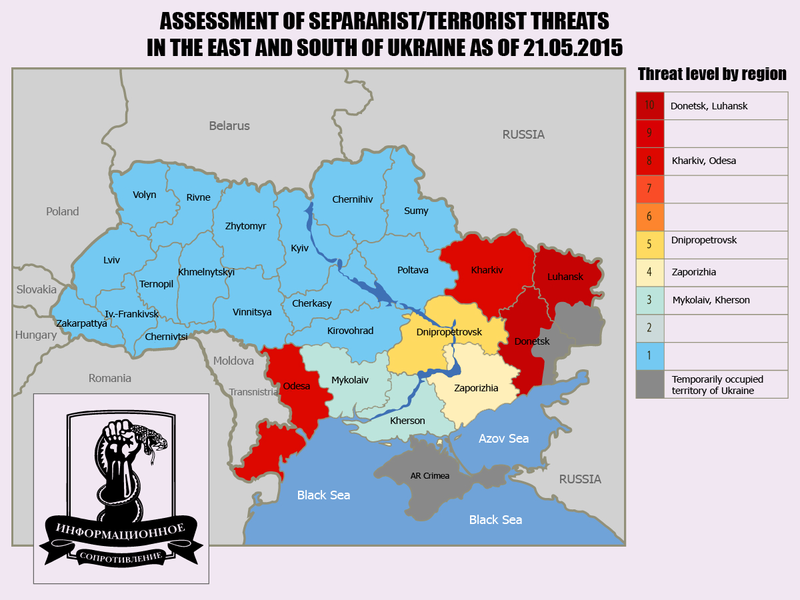 Overall, based on the assessment by the experts of the IR group, the threat of destabilization in Kharkiv region has increased over the past week, from 7 to 8 points. The situation in other regions remains unchanged. In the nearest future, it is increasingly likely that Russian intelligence services and anti-Ukrainian forces will use the difficult socioeconomic state in Dnipropetrovsk and Zaporizhia regions to destabilize the situation (through rallies, protests, etc.). The main cause of this difficult socioeconomic state is overdue salaries: in Dnipropetrovsk region, the debt is in excess of UAH 106 million [c. USD 5 million] (third highest debt following the “warring” Donetsk and Luhansk regions), and in Zaporizhia region, UAH 63 million [USD 3 million]. This entry was posted in Analytics, Dmitry Tymchuk, English, English News, Pictures, South&Eastern Ukraine, War in Donbas and tagged #freekohver, #FreeKolchenko, #FreeKostenko, #FreeSavchenko, #freesentsov, #RussiaInvadedUkraine, #StopRussianAggression, #UkraineUnderAttack, Dmitry Tymchuk, Information Resistance, Ukraine. Bookmark the permalink.